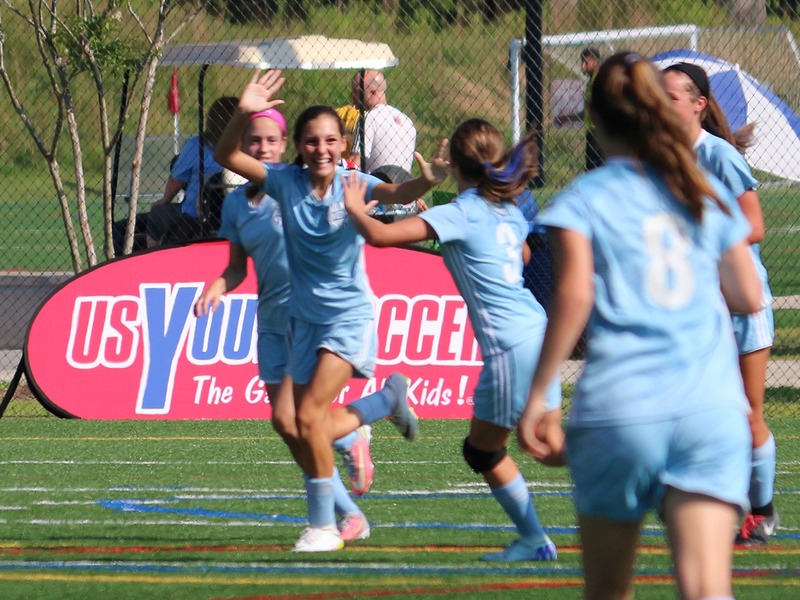 The Delaware FC Hockessin Competitive soccer program enables our youth to compete at a higher level of league play and to participate in up to three tournaments per season. We strive to provide each individual player the opportunity to play soccer in an environment that is both challenging and supportive. Our professional coaching staff are trained to provide individual and team skills development that are appropriate for each child's interest and ability while maintaining a positive atmosphere that is stimulating physically, mentally and socially. The level of training, competition and opportunities available through the competitive program are extensive and far beyond those available through traditional recreational soccer programs. Some players are extremely passionate about the game and want or need more to challenge them. Sometimes these extraordinary players don't develop the fundamental skills to carry them into their older playing ages because they lean on athletic ability alone to achieve success. We love having the opportunity to work with these players because our professional staff coaches know how to bring out the best in players of all abilities and skill levels. There is no better time to have our coaches work with your kids than early on. The competitive program is available beginning at age 7. Exceptional 6 year olds have been known to 'play up' from time to time. Our coaches can help you determine whether this would be an appropriate fit on a case by case basis. All players participate in annual tryouts (Spring) which allow our coaching staff to place them on a team that most closely matches their current level of skill and abilities. Our goal is to find an appropriate team for every player who wants to participate in the program. Unlike our recreational programs which are seasonal, when a player accepts a position on a Delaware FC Hockessin Competitive team, they are making a commitment to that team for the duration of the Fall, Winter and Spring seasons. Our Competitive teams in the U8 through U10 teams do not participate in league play. Tournaments and play dates are added to maximize playing opportunities. U13 through U14 age groups participate in the competitive divisions of DELCO, APL, EDP or NPL for both the fall and spring soccer seasons. Teams typically participate in three tournaments in the fall and three tournaments in the spring, although younger teams may participate in fewer tournaments. All U14 and under teams will train twice a week at Smith Estates. Our U15 and above age groups will play club soccer in either the fall or spring since the other season will be reserved for high school play. U15 and older teams typically train two to three times a week at Smith Estates. Delaware FC Hockessin winter training program includes one to two training sessions per week and winter league play. For players in the U8-U12 age groups, they will have indoor training one to two days per week and they will participate in a winter indoor or futsal league / tournaments. (Winter programing is optional for U8 - U10 players only) Players in the U12 age group and above will have one to three days of training each week at a designated training space. Training and match play will be indoors / outdoors during the winter months.